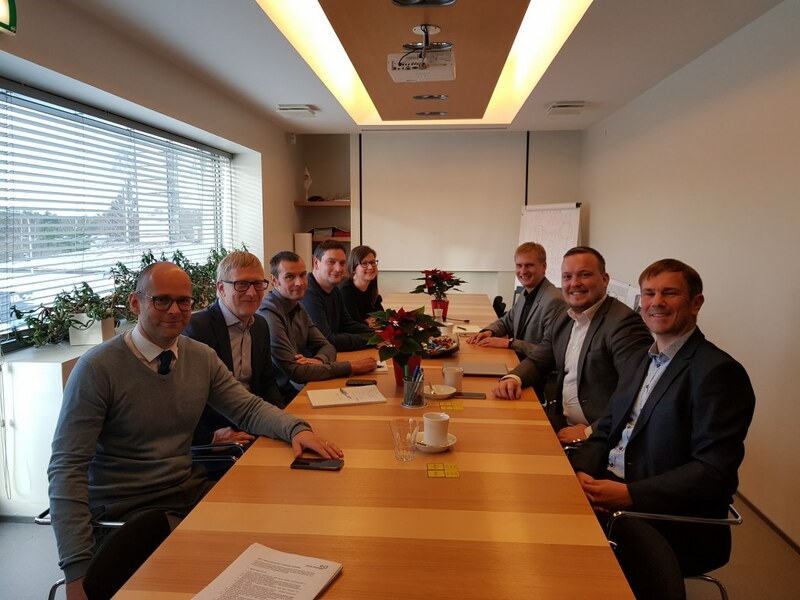 Today, the energy company Eesti Energia and the property developer Kaamos Kinnisvara concluded a rental agreement, resulting by the fall of 2020 in erection of a new headquarters for the network operator Elektrilevi in the Avala Quarter, currently under development in the vicinity of Tallinn’s Veerenni area. Renting 6,000 m2 in office space for approximately 450 employees, Elektrilevi will become the anchor tenant in the office building constructed in the region bordered by the Viaduct and Tehnika street. In two years’ time, the new headquarters will house Elektrilevi’s headquarters, currently situated on Kadaka tee, Elektrilev’is numerous units, today housed in various rental spaces, and the network control center, located now in a separate building. “Construction of a contemporary network control center is guided by strict security requirements as the object in question constitutes one of strategic importance to society. As a result of a tight competition we gained a solution that meets Elektrilevi’s needs and at the same time is cost efficient. Thanks to bringing different units into one building and benefitting from lower administrative costs, employment of the new rental space will save us approximately three million euros in the course of ten years,” Mart Maidla, Elektrilevi’s Partnership Manager, elaborated on the procurement results. The objective of the procurement for a new office space was to ensure a contemporary and energy efficient working environment which would meet Elektrilevi’s needs. The building which adheres to Energy Class B will feature a modern semi-open working environment to facilitate separate zones for both active communication and quiet work. “This is an exceedingly important agreement for us, one that represents a new phase in extending our portfolio of commercial real estate. Construction of the Elektrilevi building will kick-start development of the Avala Quarter. The Quarter will emerge as a unique business park in downtown Tallinn, right in the immediate vicinity of all major connecting roads. To develop this concept, we have involved the best players in their field,” said Priit Uustulnd, Head of Kaamos Real Estate, adding that significant strong suits of the area also include the location of the airport and central bus station that are only a few minutes’ drive away. The Avala Quarter’s first commercial building will provide a total of 10,000 m2 in rental space, of which nearly 6,000 m2 will be leased to Elektrilevi. “Tenants for the remaining 4,000 m2 will be found during the development process,” Uustulnd elaborated. Elektrilevi is Estonia’s largest network operator that manages the electricity grid in almost all of Estonia as well as the street light network in Tallinn and Tartu, and is about to commence the building of a fast Internet network across Estonia. The company employs more than 730 employees. Kaamos, founded with domestic capital in 2002, is an outfit engaged in real estate development, construction, and the timber industry. The company is an active operator in five countries: Estonia, Finland, Latvia, Georgia, and Belarus. Kaamos benefits from long-standing experience in developing and managing commercial real estate and the soon-to-be-erected Avala Commercial Park is a welcome addition to developments such as Tammsaare Business Center, Statistic’s Estonia, and Endla Business Center. New office building’s first working meeting. From left Kaamos Kinnisvara Priit Uustulnd, Kaamos Ehitus: Alo Nõmmik and Reimo Rootsma, Pin Arhitektid: Jaan Port, Katrin Kaevats, Neeme Tiimus and Eesti Energia: Taavi Avikson and Urmas Uiboaid.